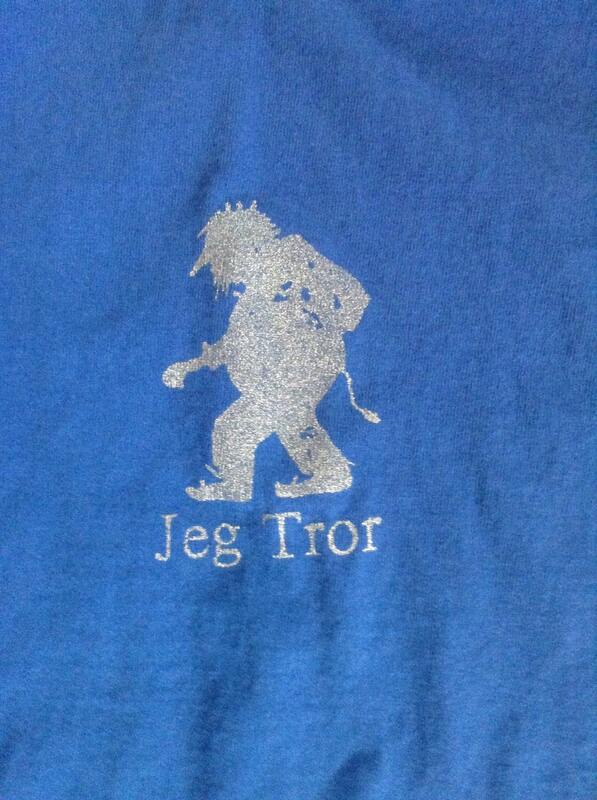 A Norwegian troll with the words "Jeg Tror" are screened on the front of this dark blue shirt in metallic silver. 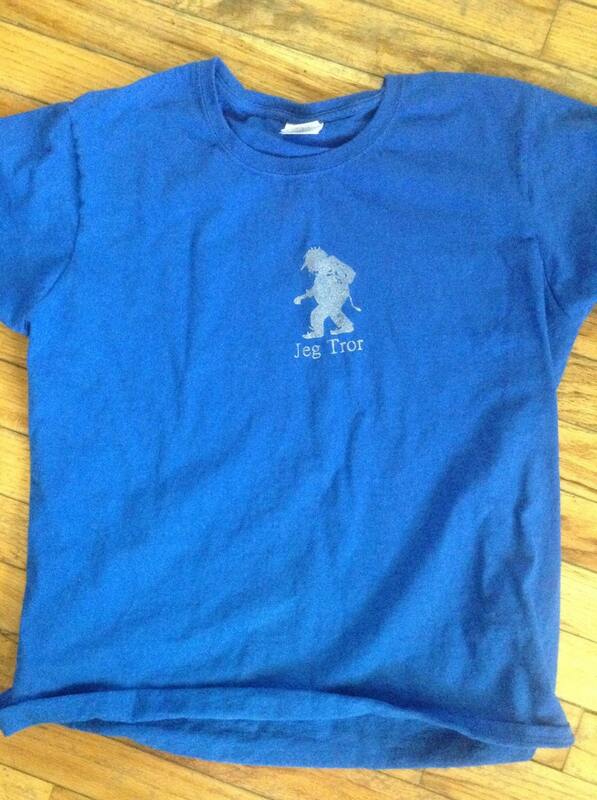 If you believe in trolls, you need this shirt. This listing is for woman's fitted shirts. The brand is Gildan and it is 100% cotton. I have one each of each size listed, if you need more than one, it may take longer if I need to order shirts. If you need a different color or a hoodie, let me know. Shipping is with USPS priority unless otherwise stated.